Robinson scored 14 points (5-8 FG, 4-7 FT) while adding 13 rebounds, four blocks, two steals and an assist in 28 minutes during Wednesday's 126-111 loss to the 76ers. It's only the rookie's third double-double of the season, but two of them have come in the last five games. 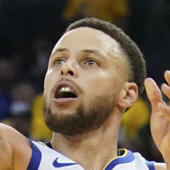 More impressive has been Robinson's defensive efforts -- he's recorded at least one block in 13 straight games since returning to action from ankle and groin injuries, with multiple swats in 11 of them, and he's averaging 9.3 points, 6.2 boards and 2.6 blocks in 19.2 minutes a game over that stretch.